Kaepernick joins an exclusive group of public figures whose activism include embracing their black features. I’m one of the many people who grabs her phone as soon as the alarm clock goes off. Even through the blurred vision of tired eyes, scrolling my Twitter and Instagram feeds at the beginning of each day is a treasured and necessary tradition. Colin Kaepernick #7 of the San Francisco 49ers speaks to media during a press conference after a 31-21 preseason win over the San Diego Chargers at Qualcomm Stadium on September 1, 2016 in San Diego, California. 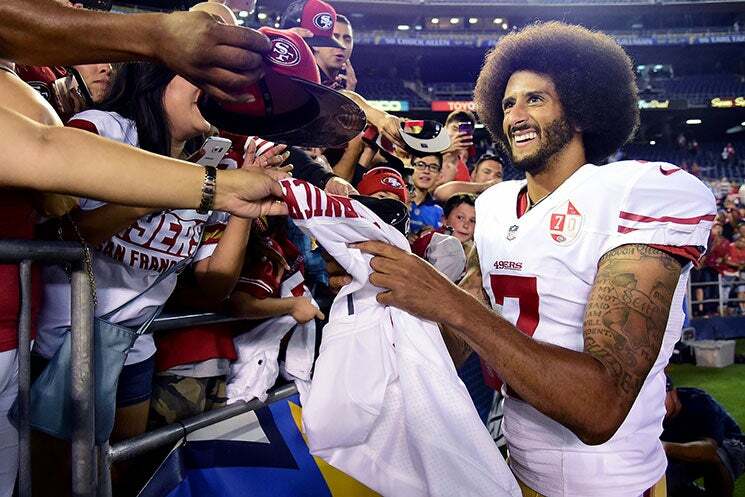 A candid shot of football player Colin Kaepernick sporting a wide smile and crown of kinks atop his head. A beautiful sight to behold, not only because of Colin’s obvious good looks (#wokebae), but because of the cultural weight his hairstyle carries. 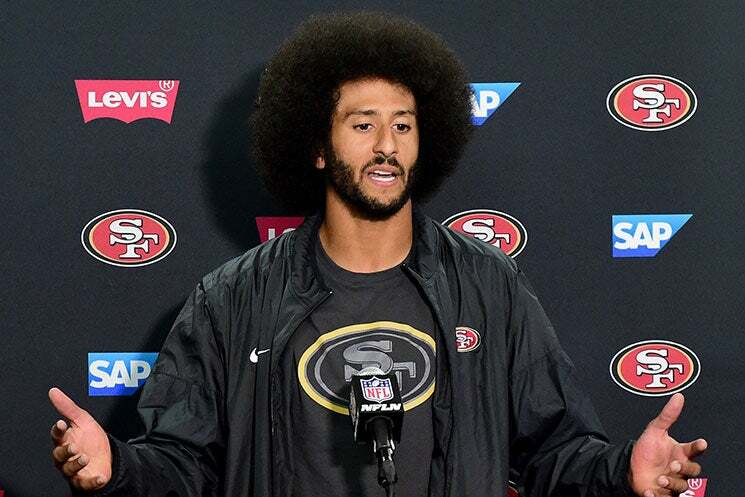 The San Francisco 49er’s swift transformation from a Caesar cut to full-fledged afro bears particular significance because it inserts Kaepernick into an exclusive group of public figures whose activism intentionally or unintentionally includes embracing their black features. From Tommie Smith and John Carlos’ iconic fists and perm-free hair at the 1968 Olympics to a scruffy J. Cole tributing Mike Brown with “Be Free,” we’re once again reminded that our curls, coils and kinks are intertwined with our black experience. Each strand is a symbol of our strength, uniqueness and layered history. And when any person or institution threaten our ability to wear them freely (see: Pretoria natural hair protest), we will respond accordingly. With plans to donate his first $1 million to groups who work toward fixing inequality and continue his Star Spangled Banner protest, we have a feeling this isn’t the last we’ll see of #KapSoBlack on our social feeds. I volunteer to grease Kap's #KapSoBlack scalp w that blue magic. Keep fighting the good fight, Colin!